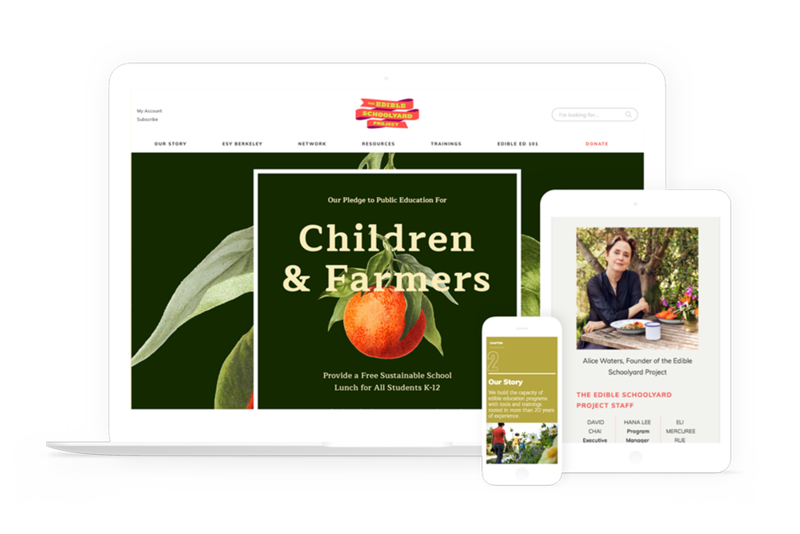 The mission of the Edible Schoolyard Project is to build and share a national edible education curriculum for pre-kindergarten through high school. They support the creation, growth, and enrichment of the edible education field. The website maps the movement and enables educators and volunteers from thousands of programs across the country and around the world to exchange ideas and best practices. We built their current Drupal-based website, and we provide ongoing design, support, and feature development, as well as CiviCRM support and fundraising consulting for their operations team.